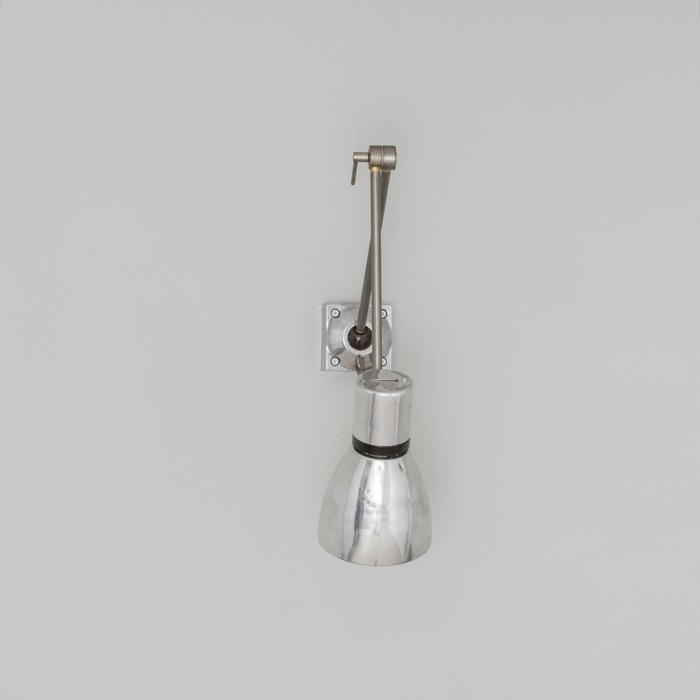 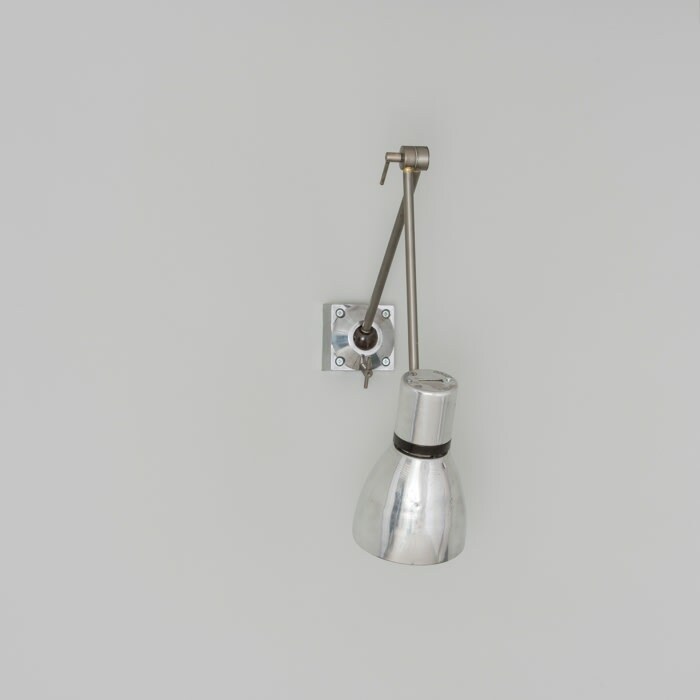 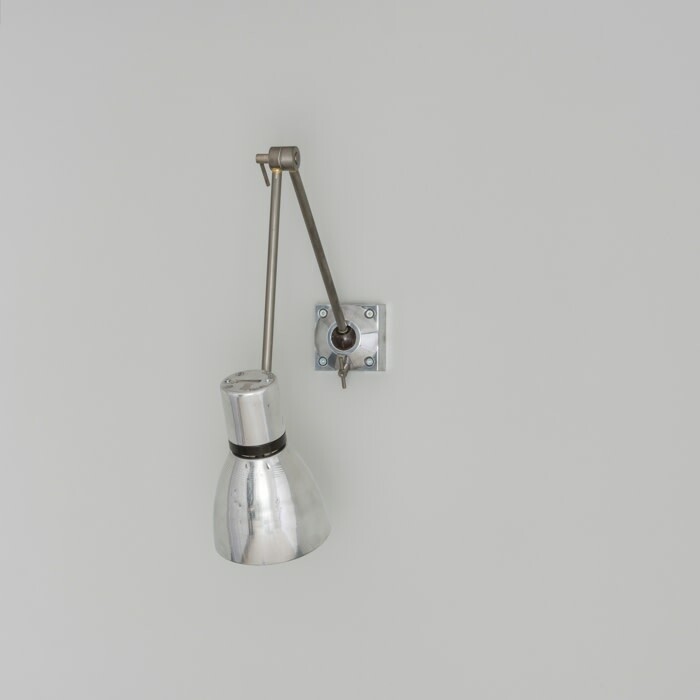 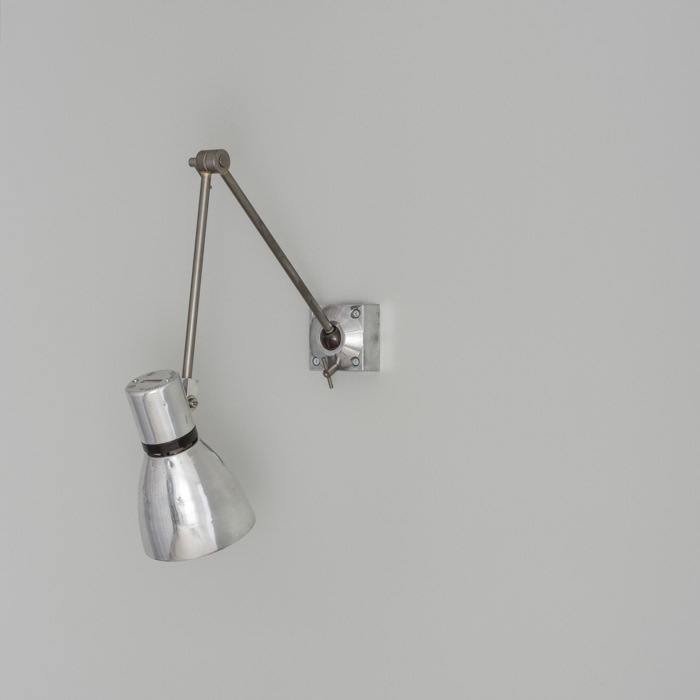 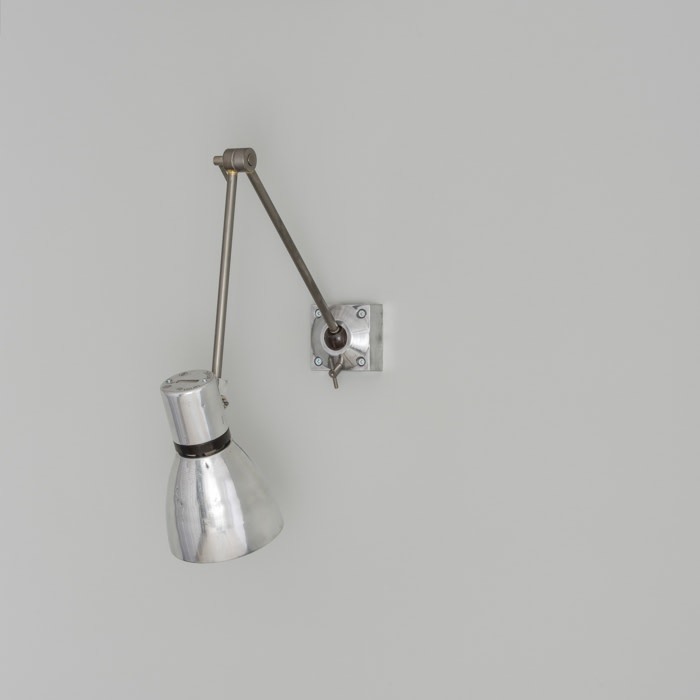 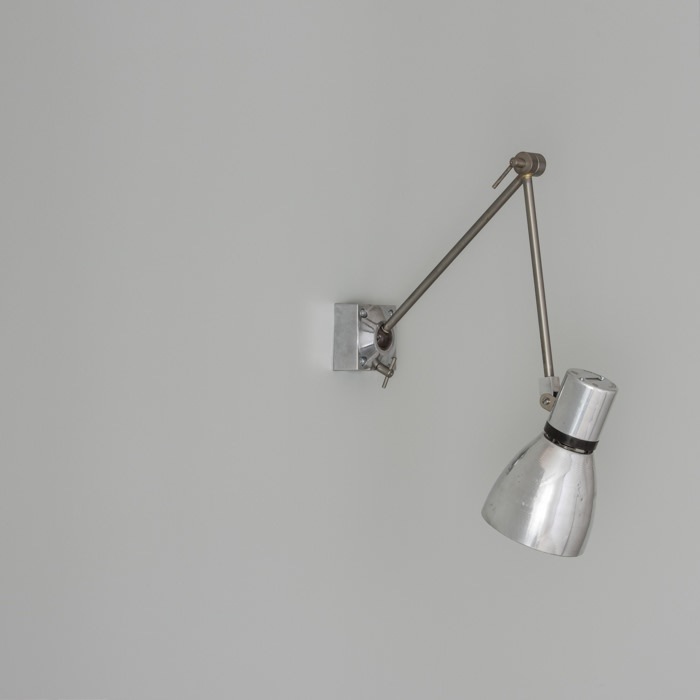 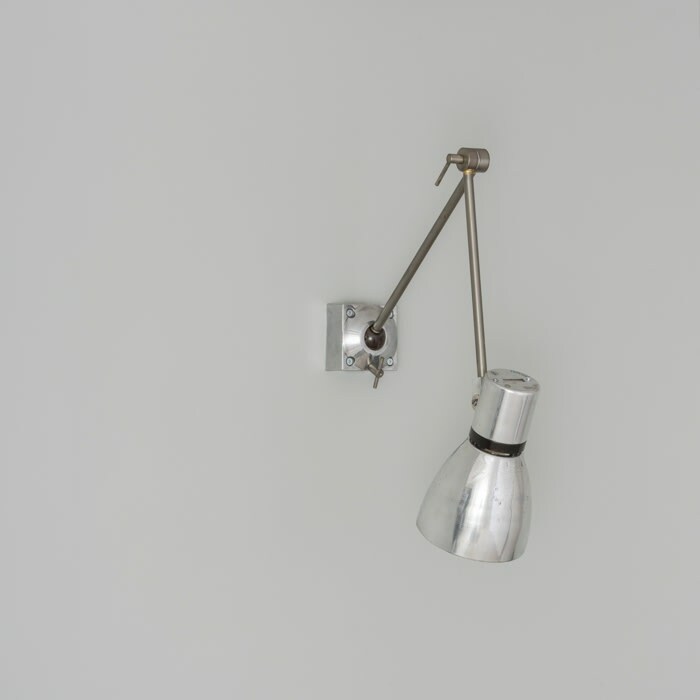 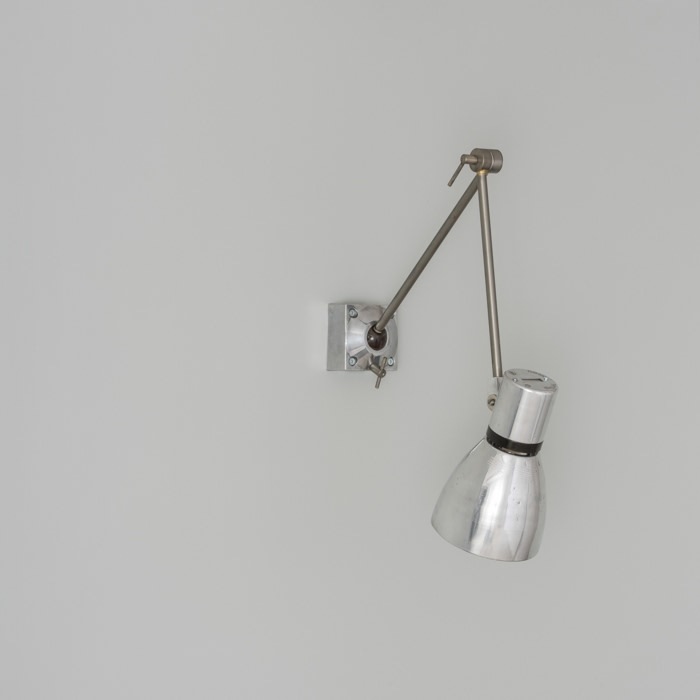 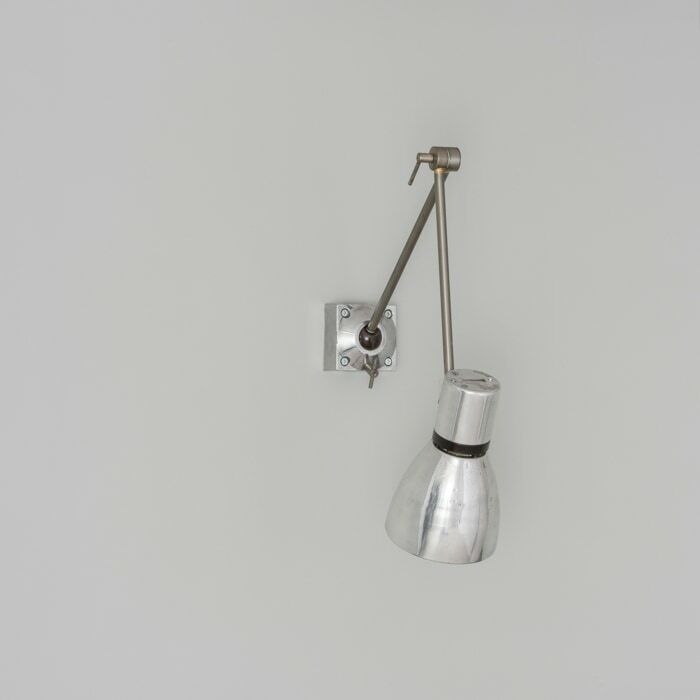 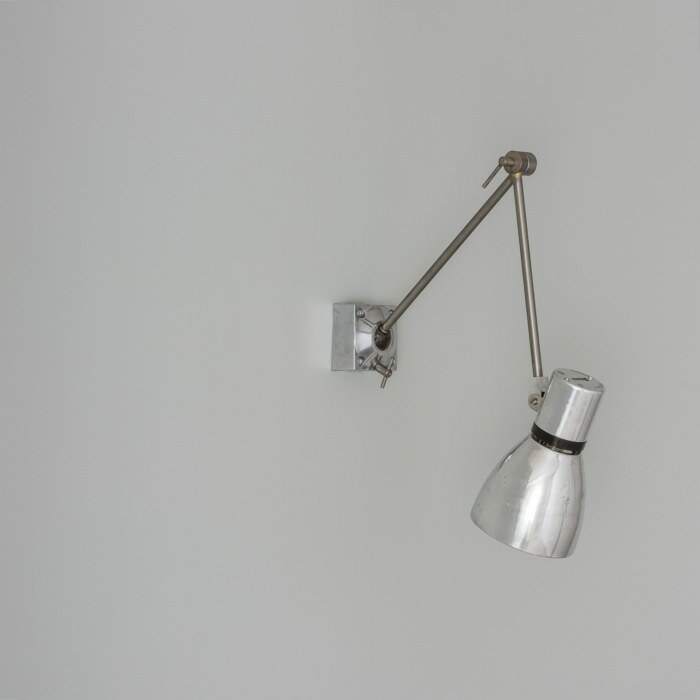 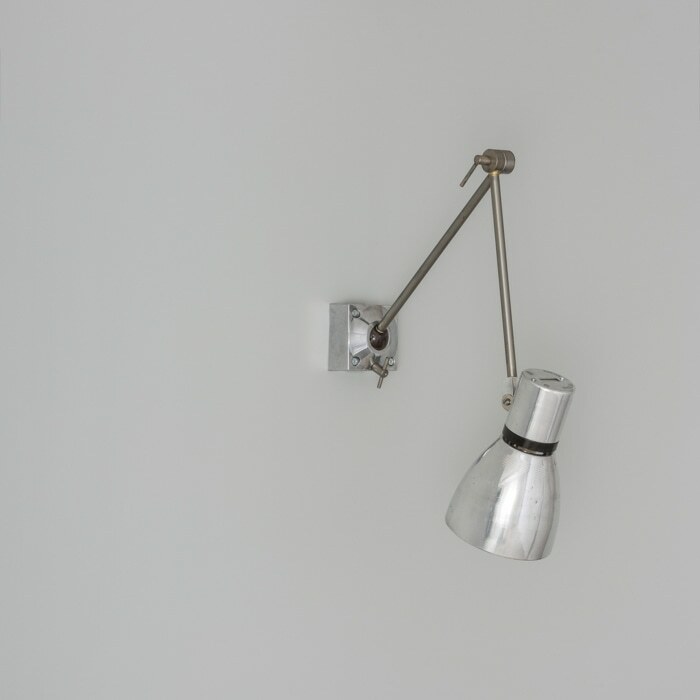 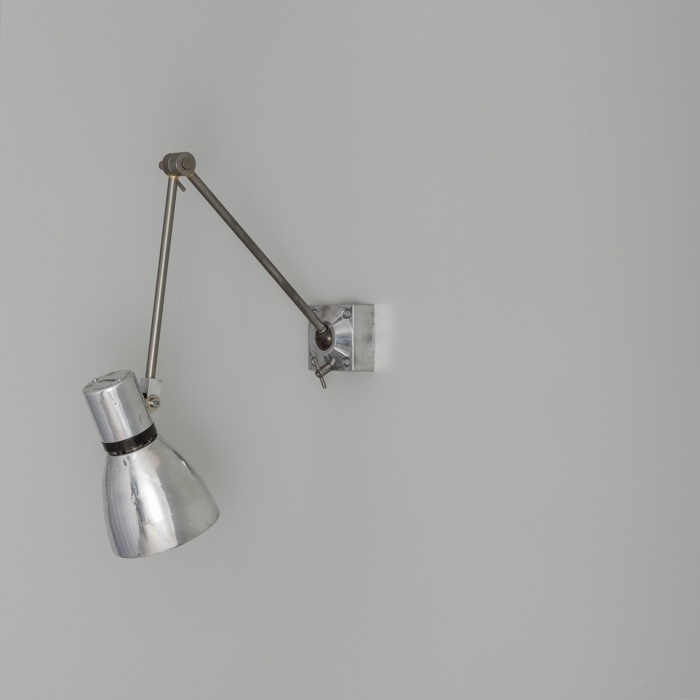 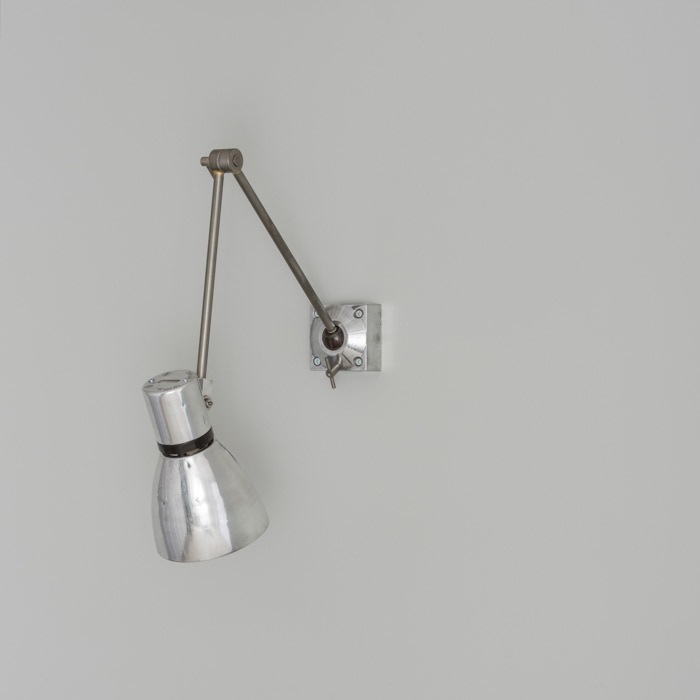 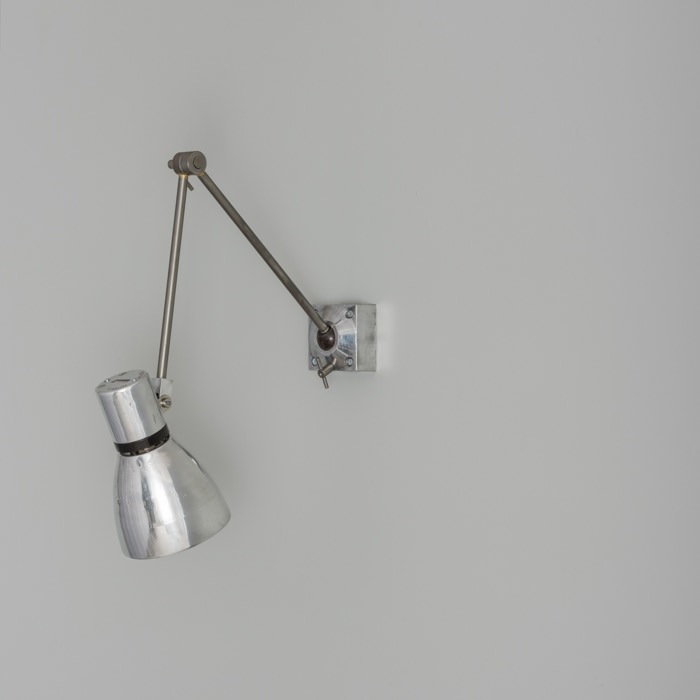 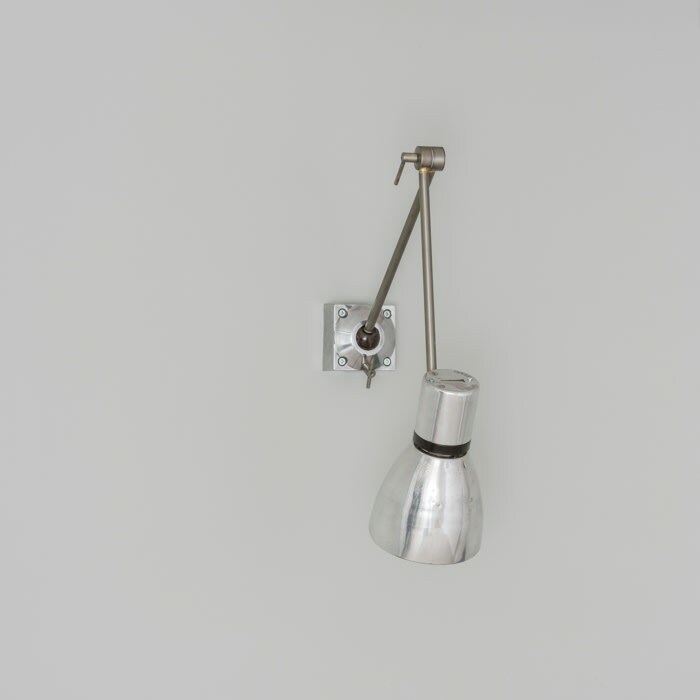 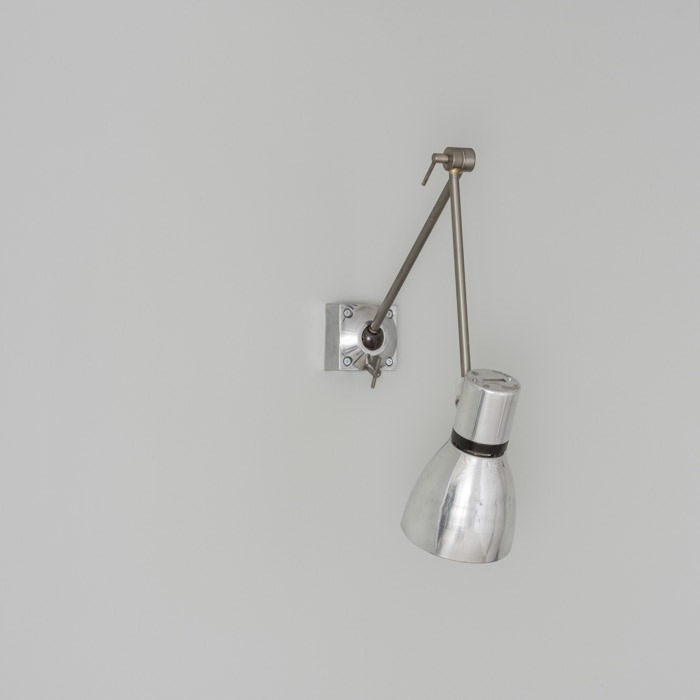 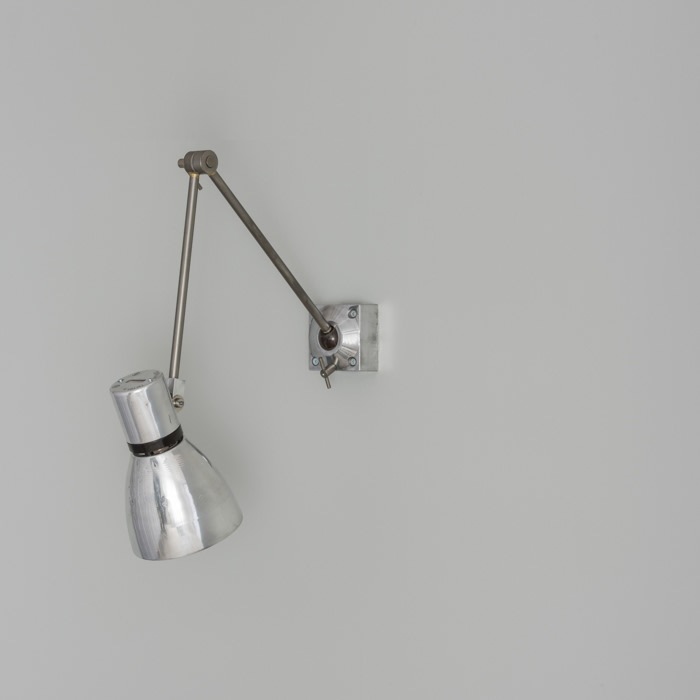 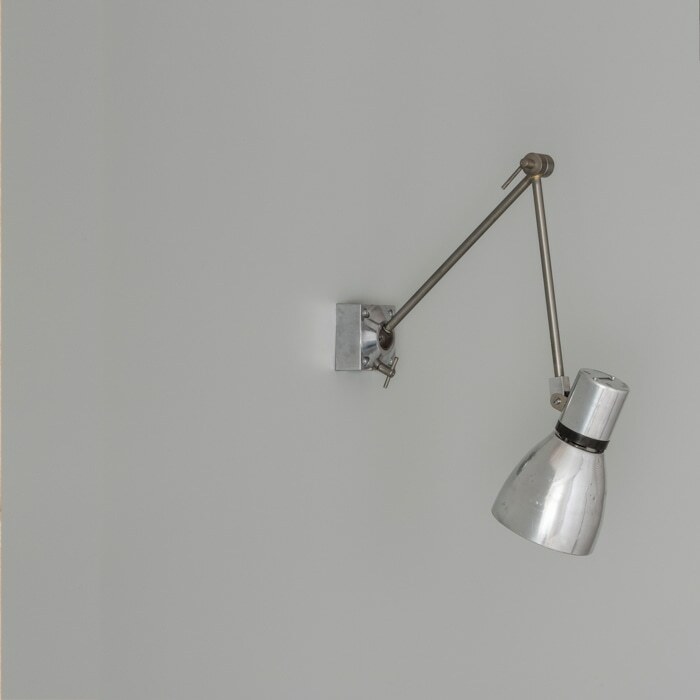 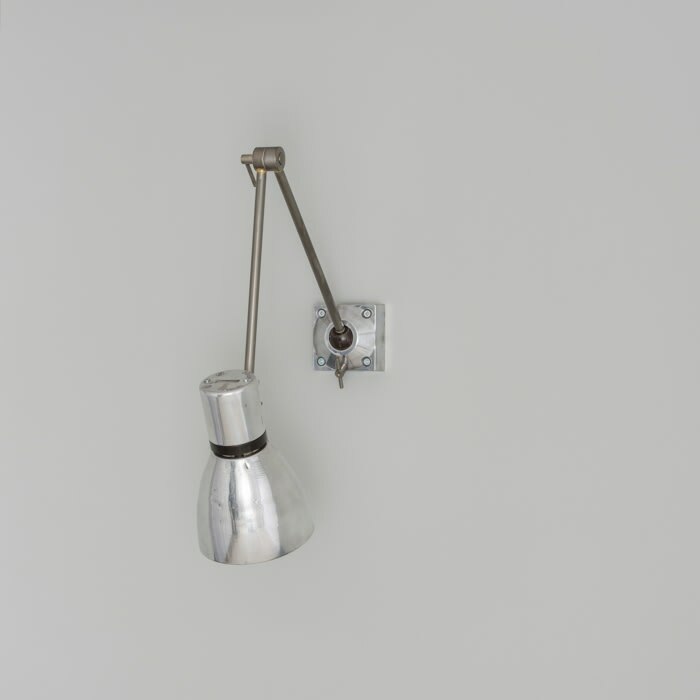 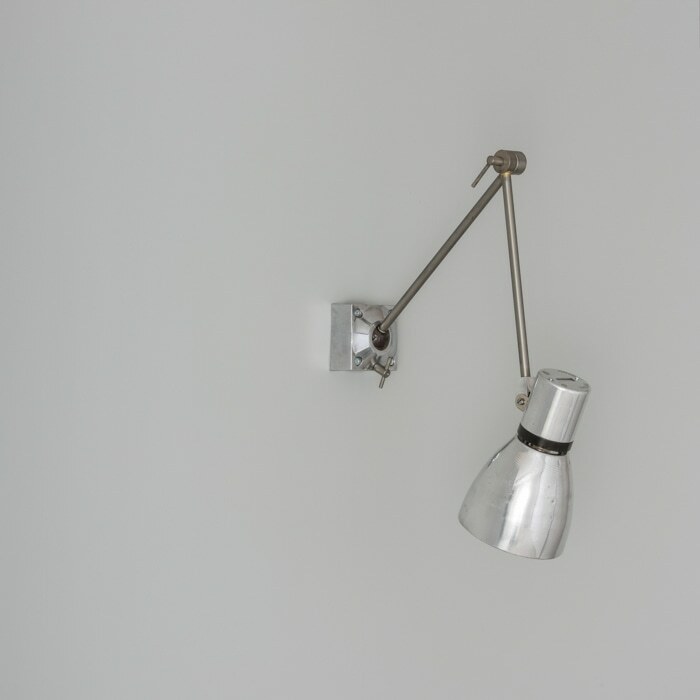 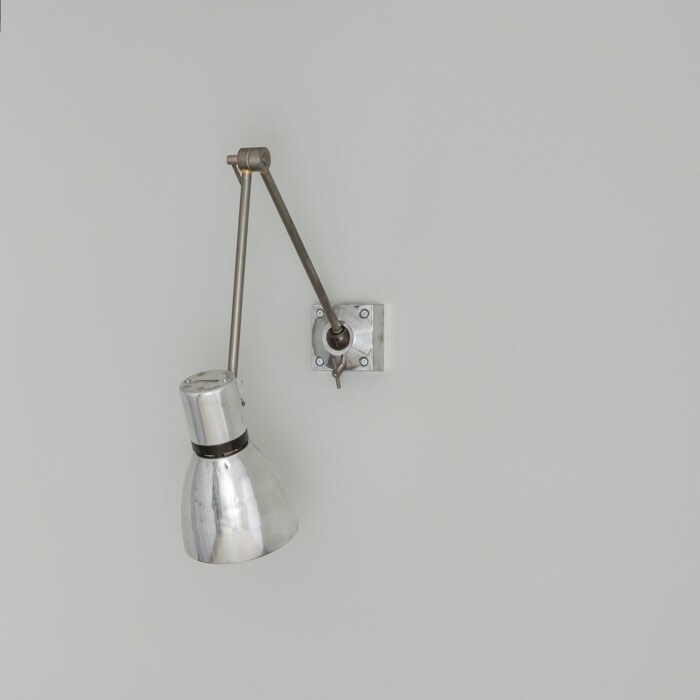 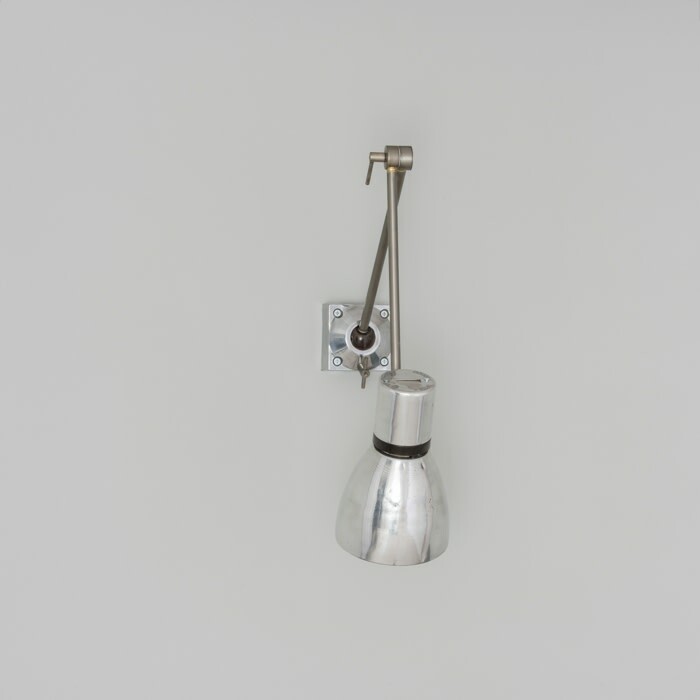 Vintage Czech machinists lights salvaged from a former industrial site. 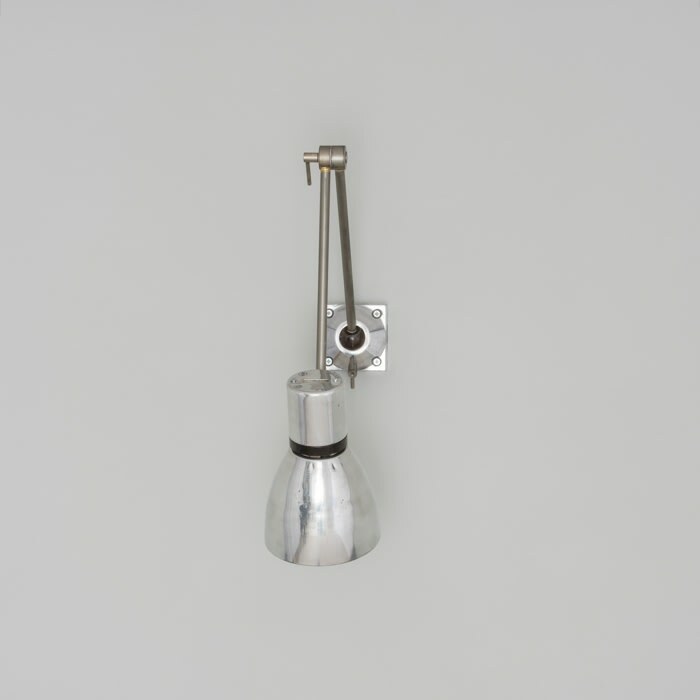 The aluminium shade can be angled so the direction of light can be focused to an object. 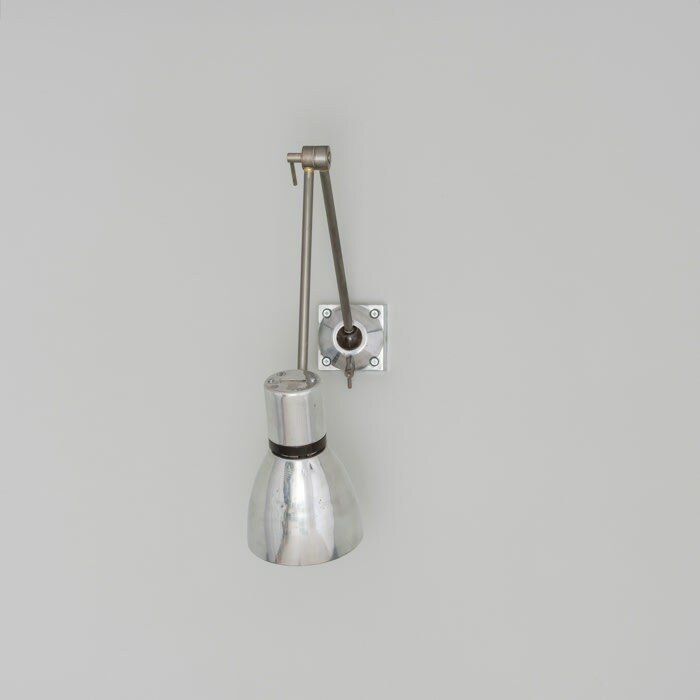 At the base and shade, the light can be fully rotated while the steel arms have lockable lateral adjustment. 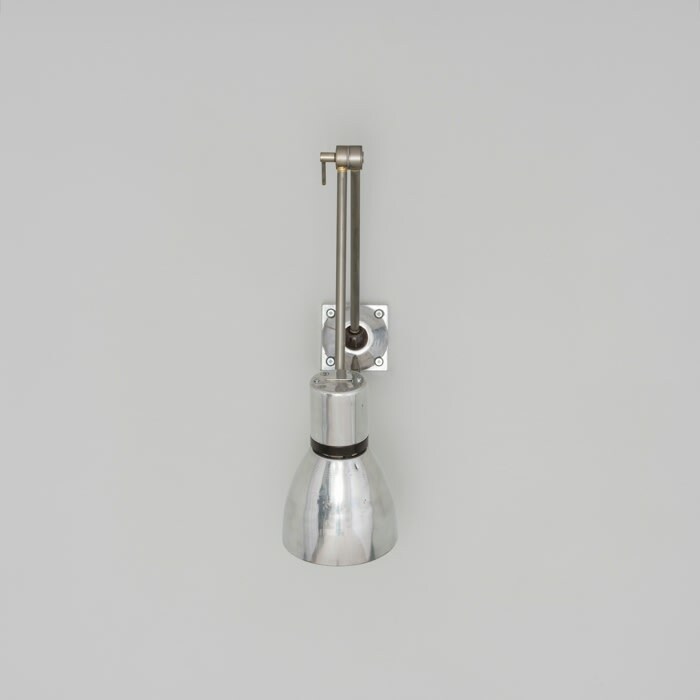 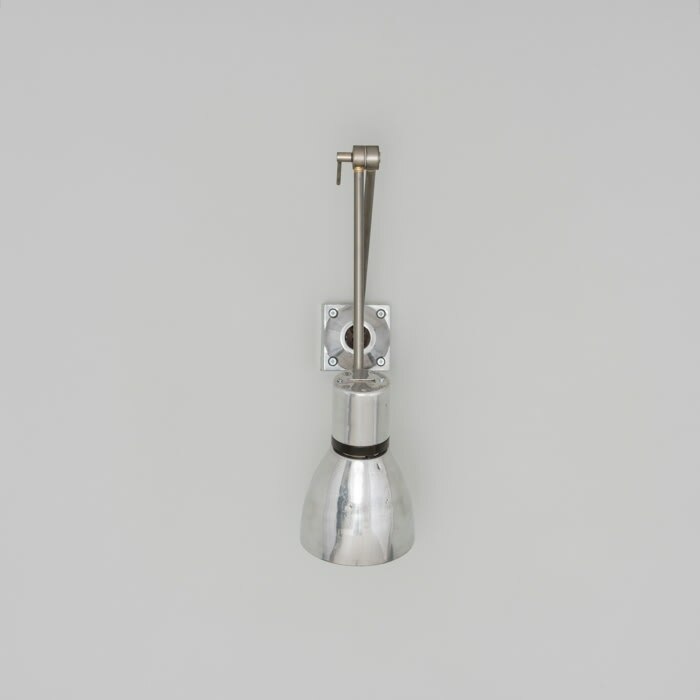 Each light is supplied tested and rewired with a new bayonet (B22) lamp holder.